Pacifica`s super powerful, oil-free lightweight cream, hydrates and supports a healthy appearance, no matter what age. Natural actives of lime pearls, rich in vitamins and AHAs, help improve appearance of healthy skin texture, tone and brightness, while FLAX aids in oil control. 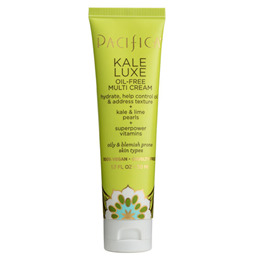 Kale, it`s your skin`s new BFF. For oily and blemish prone skin types. 100% vegan. Cruelty-free. Formulated without animal ingredients, petroleum, parabens and phthalates. 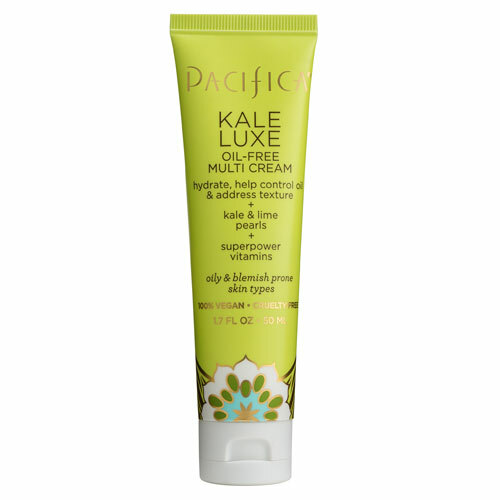 Below are reviews of Pacifica Kale Luxe Oil-Free Multi Cream - 50ml by bodykind customers. If you have tried this product we'd love to hear what you think so please leave a review. Pacifica`s super powerful, oil-free lightweight cream, hydrates and supports a healthy appearance, no matter what age.